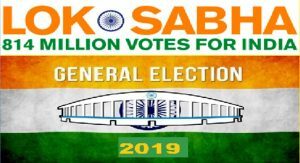 Lok Sabha Election 2019: 900 million registered voters, one million polling booths; seven phase polls to be world’s largest democratic exercise. The first Phase or round of India’s general election has kicked off. Voting is underway in 91 constituencies across 18 states and 2 Union Territories. About 1,300 candidates are in the mix and more than 14 crore citizens willing to excercise their vote at 170,000 polling stations today. The rest of the country will vote in six subsequent phases starting April 18, and the results will be declared on May 23,2019. India’s six-week-long election battle is expected to cost around $7 billion, making it one of the world’s costliest elections. 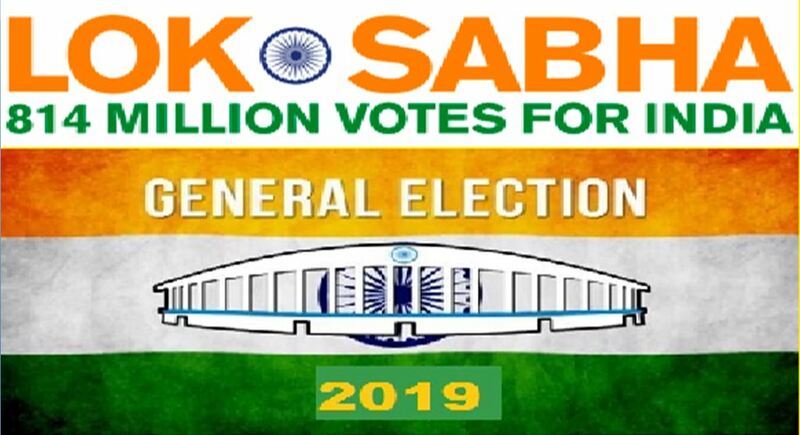 Lok Sabha polls 2019 LIVE Updates Phase 1: While many states will witness elections in multiple phases, states such as Arunachal Pradesh, Andhra Pradesh, Sikkim, and Odisha will witness elections in single phases. While many states will witness elections in multiple phases, states such as Arunachal Pradesh, Andhra Pradesh, Sikkim, and Odisha will witness elections in single phases. Over the seven phases, the elections will cover 543 constituencies. The results, or counting of votes, will take place on May 23. “The combined US presidential and congressional elections in 2016 cost $6.5 billion. If the 2014 Lok Sabha elections cost an estimated $5 billion, there is little doubt the 2019 election will easily surpass that making India’s elections the world’s most expensive,” Milan Vaishnav, senior fellow and director of the South Asia Program at the Carnegie Endowment for International Peace think-tank told Press Trust of India. In 2019, Lok Sabha elections will cost around 500 billion rupees($7 Billion) according to the NCR based Center for Media Studies. The election will be conducted for 545 seats and 8000 contestants. It includes advertisement cost, legal expenditure, dummy candidates, brand building, transportation’s and all the costs that you can imagine in the election. The Nizamabad Lok Sabha constituency, where polling was underway on Thursday along with 16 other constituencies in Telangana, may make it the Guinness World Records for the maximum number of Electronic Voting Machines (EVMs) used. With 185 candidates, a majority of them farmers, entering the fray, the Election Commission is using 12 EVMs in each polling station. The polling in this constituency began at 8 a.m., an hour after the process began in the remaining constituencies. Telangana Chief Electoral Officer Rajat Kumar said the mock-polling in Nizamabad took two hours and hence they started polling at 8 a.m.
“The polling is going on smoothly barring at two-three places where EVMs were replaced. In the first hour, 3.6 percent polling was recorded,” he said. Election Commission blocks release of Modi biopic Movie till Lok Sabha elections, 2019 are over. The Election Commission Wednesday banned the screening of the biopic on Prime Minister Narendra Modi during poll period, saying any such film that subserves purpose of any political entity or individual should not be displayed in the electronic media. Threat to Rahul Gandhi’s life, claims Congress. Writing a letter to Indian Home Minister Rajnath Singh, Congress workers claimed a breach in Rahul Gandhi’s security during his Amethi visit. In the letter, the Congress claimed that a laser was pointed at Rahul Gandhi. The Home Ministry has said the laser was from mobile phone of the cameraman. Nine hundred million eligible voters; 11 million poll workers; 2.3 million electronic voting machines; 2,000 political parties. The numbers alone are stunning. The country is riven by sectarian and caste divisions and faces high unemployment, distress among rural workers and tensions with its nuclear-armed neighbor, Pakistan. Women are expected to turn out in record numbers, driven by issues of security, economics and liberty. The largest, most complex, costly, diverse, cumbersome, colorful, vociferously debated and celebrated democracy in the world. A multi – party democratic experiment to learn from, which enfranchises 900 million people to make a choice. Make the choice! !